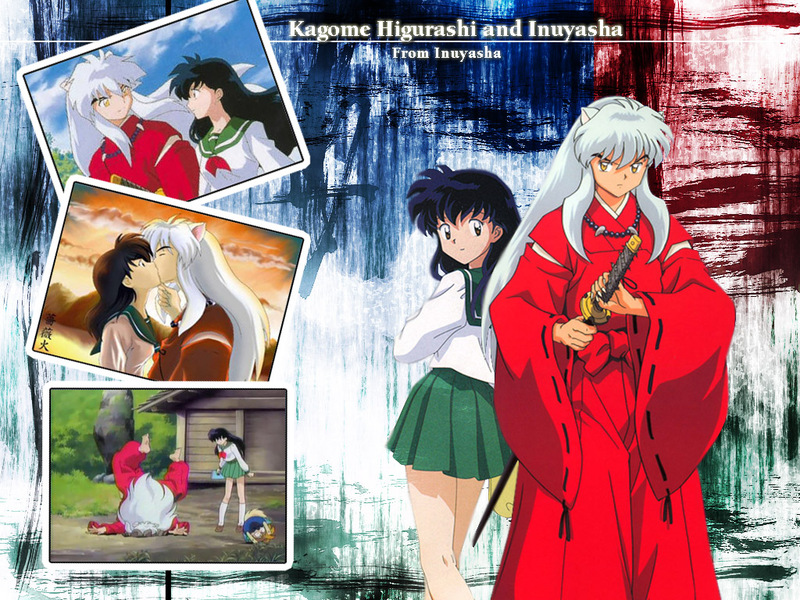 My first Inuyasha wallpaper. This one took me quite a while cause I wanted to make a really good one. Well these are the results. Thanks to MT members for the scans. Hope you enjoy this one. Fixed a couple things that Inuyashalove04 pointed out to me. Check it out. Browse Inuyasha Gallery: Recent | Popular. Well, I like your wallpaper. The two big scans of Kagome and Inuyasha are nice, good together. But, with Inuyasha, his hand (on the hilt of Tetsaiga) is very weird looking...color doesn't match up with the rest of his body. And, I'm not sure if it wasn't shown on the original scan, but his other ear is gone. With the way that he's standing, you should atleast see the tip of the other ear. *shrugs* Oh well! Also...the top screenshot of the two is a little pixelated. But, all around it's a good idea and concept. The bg work is nice too...I like it alot. Nice work! Ah...much better! The scan of Inuyasha looks much better as does the top image of the two. Good work on the corrections. Wow! I Like so much your wallpaper! is very good! Congratulations! Pretty wall! Goog job! Thanks! Nice wallpaper. You did a good job puttin this one together. esta serie es de mis favoritas, y esta foto esta genial, me encanta esta parejaaaa! Kagome e Inuyasha. love the screen shots you picked, esp. the last one! xD great wallpaper!